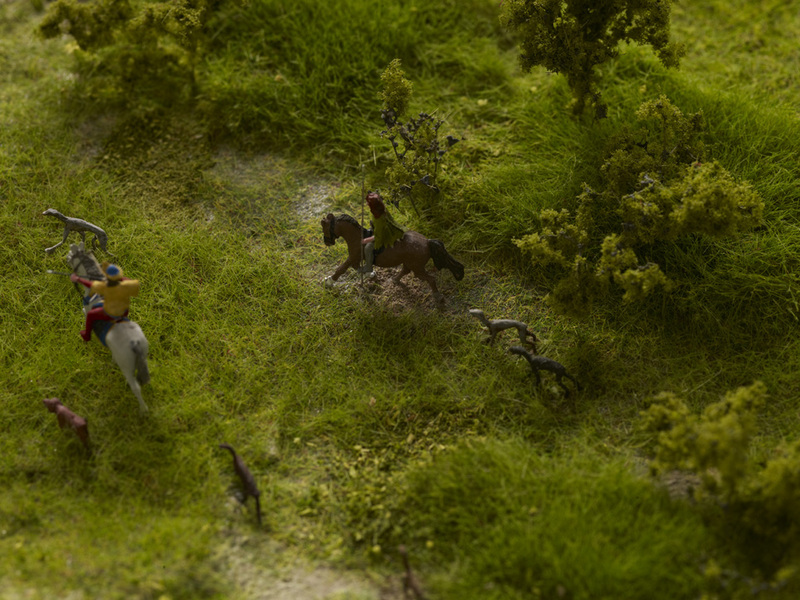 A scale model allows visitors to depict a scene in a way that words or illustrations sometimes fail to do. To put it simply, it does all the hard work for the viewer by giving them a unique perspective that allows them to survey a landscape in its entirety. We wanted to do exactly that for our visitors at Birmingham Museum & Art Gallery. 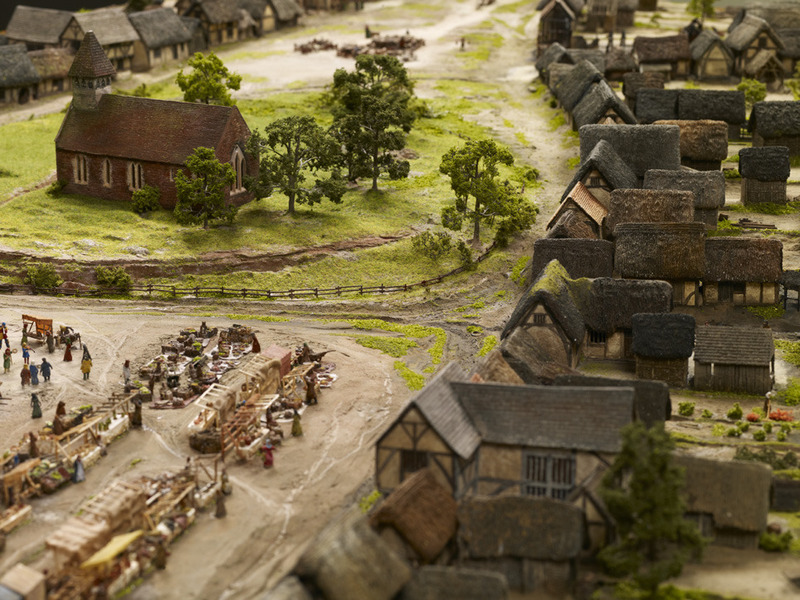 The model we recently commissioned for the new History Galleries illustrates what Birmingham might have looked like in 1300. ‘Might’ is deliberately used here because there are some physical features of the town for which we simply have no concrete evidence. For instance, we don’t know what the fabric of the buildings looked like and whether these buildings were front side or gable end onto the street. Timber framed buildings from the 13th century rarely survive. In Birmingham’s case, its oldest timber framed building is the 15th-century Old Crown Pub in Deritend. Nevertheless, we’ve done what historians do best! 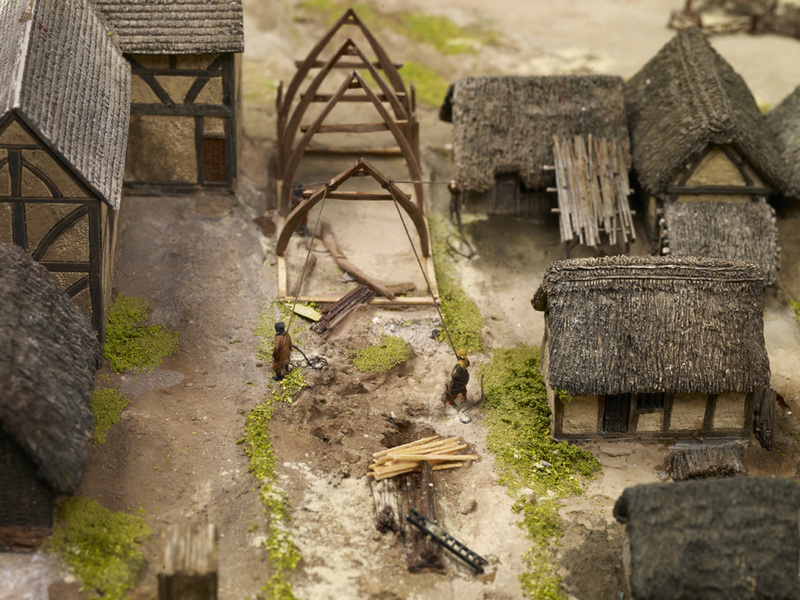 We’ve used the abundant evidence we have relating to 14th-century buildings and the limited knowledge from the 13th to produce a ‘most likely’ case scenario. 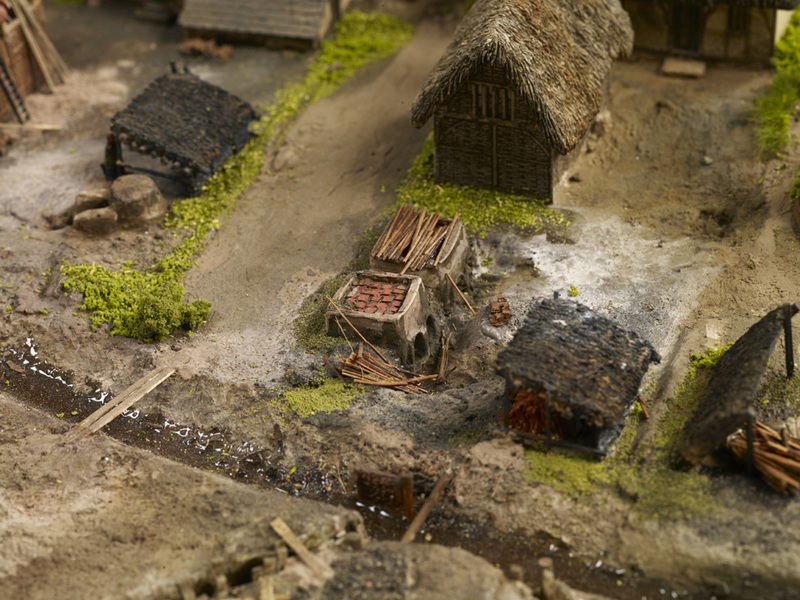 Model of medieval Birmingham in 1300. Notice the familiar triangular shape to the left of the model, which you can still see today as you walk downhill from New Street to St Martin’s Church. Some people may be thinking ‘why not just focus on the later medieval period, for which we have more evidence?’ Well, we do have one tangible piece of factual evidence which we’ve based the blueprint of the model on. That is a document called a Borough Rental dating from 1296. This recently discovered document lists the names of townspeople who rented plots of land in Birmingham from the lord of the manor. 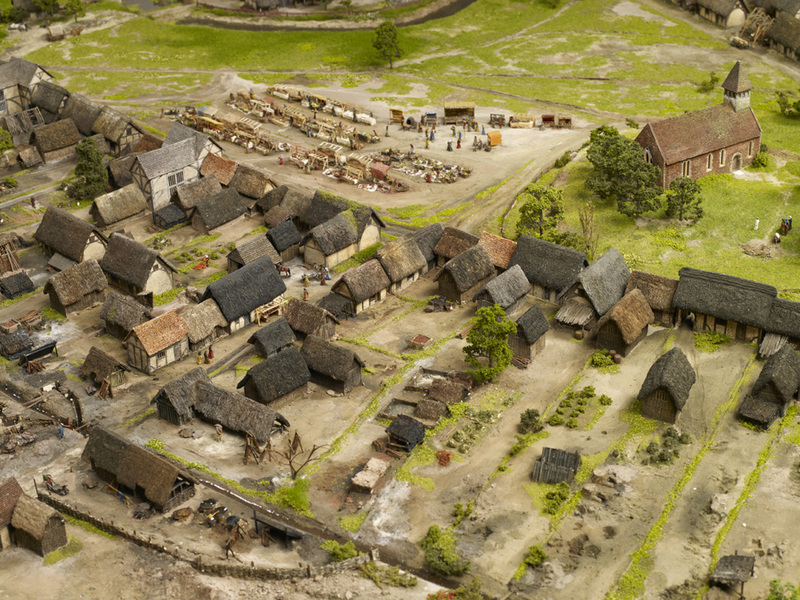 It also tells us that there were 250 dwellings in Birmingham in 1296. Using this record, along with research from specialists, George Demidowicz and Mike Hodder, we have been able to map rented plots of land that existed in the town. 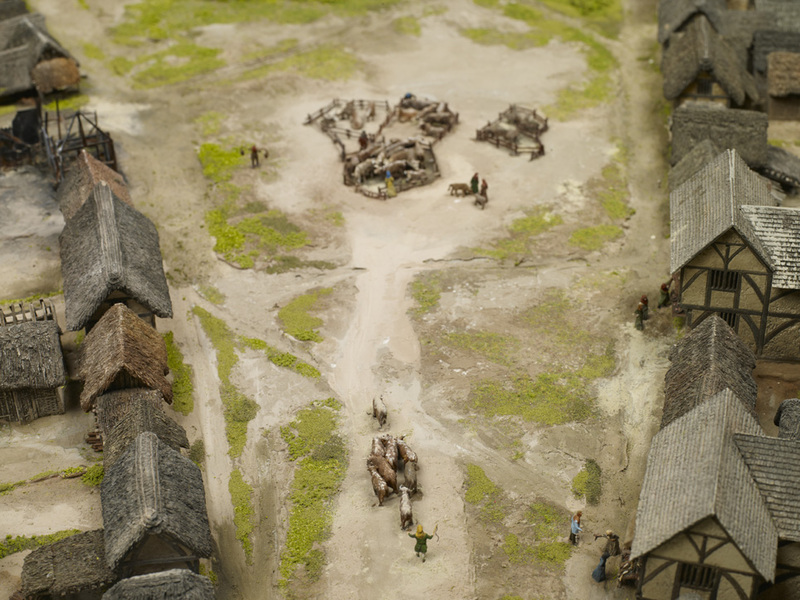 These areas were known as ‘burgage plots’ and in some cases we can pinpoint exactly where certain townspeople lived. 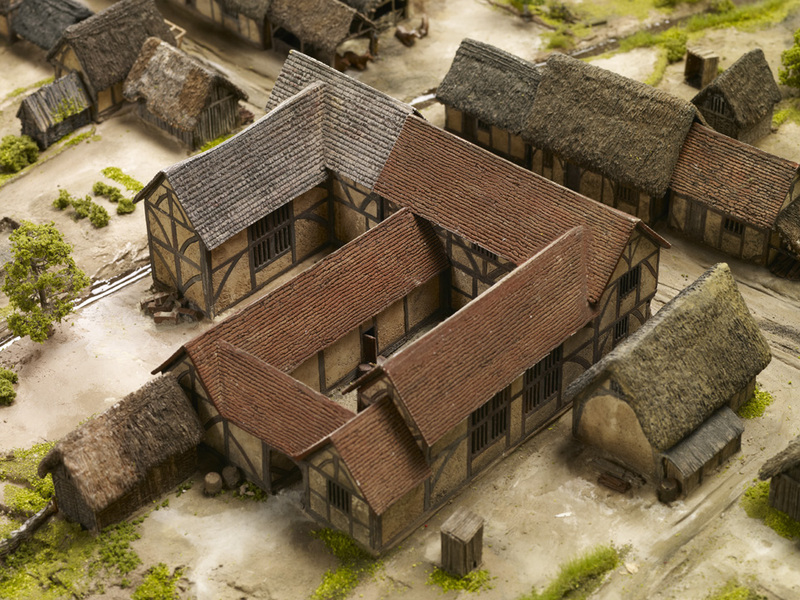 The distinctive long and narrow burgage plots were a common feature of medieval towns. You can also see the ‘half’ plots, where land has been subdivided because of population growth or simply to generate more income. One such person is Roger le Moul, the wealthiest merchant in 13th century Birmingham. Not only did he own 17 plots, he also gave his name to one of the best known streets in Brum: the Moulestrete of 1437 is today’s Moor Street. Birmingham, a place many assume emerged out of the Industrial Revolution was already thriving in the 13th century and this legacy is embedded in the surviving place and street names of the modern city! 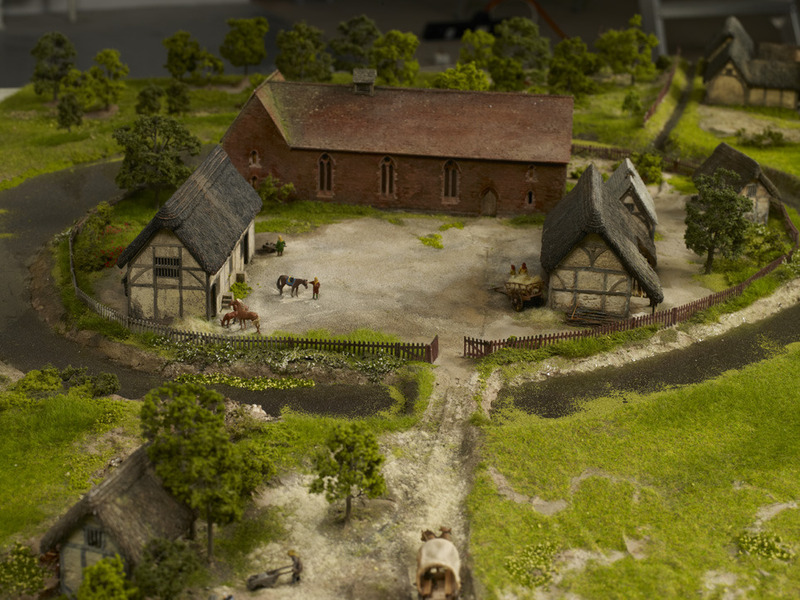 Our model, however, doesn’t show the full extent of medieval Birmingham. We’ve simply focused on the market place, the heart of the town, and the burgage plots that surrounded it. The Borough Rental also helpfully identifies the locations of Birmingham’s early industries, demonstrating why they were situated where they were. 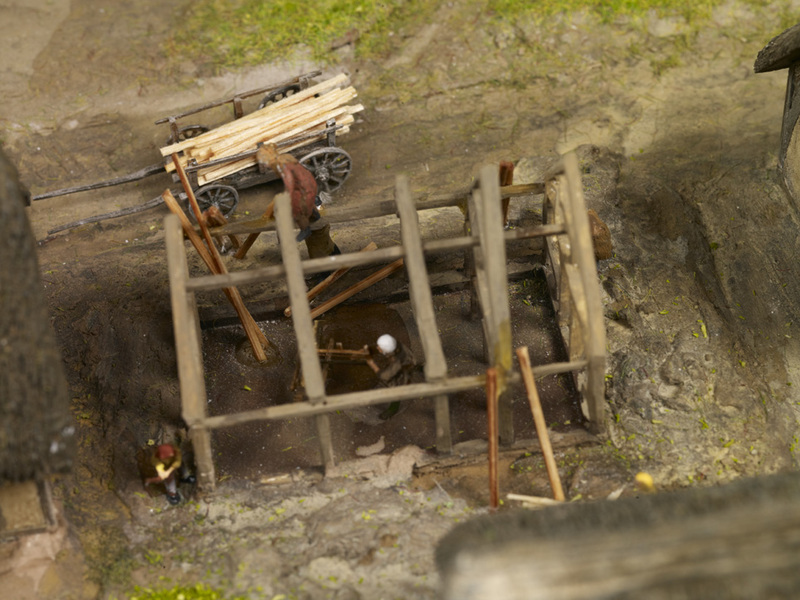 Tanning pits, a necessary component of the leather industry were located on Park and Edgbaston Streets. These streets were on the edge of the town and were ideal locations for such a noxious and smelly trade that used urine and animal faeces. 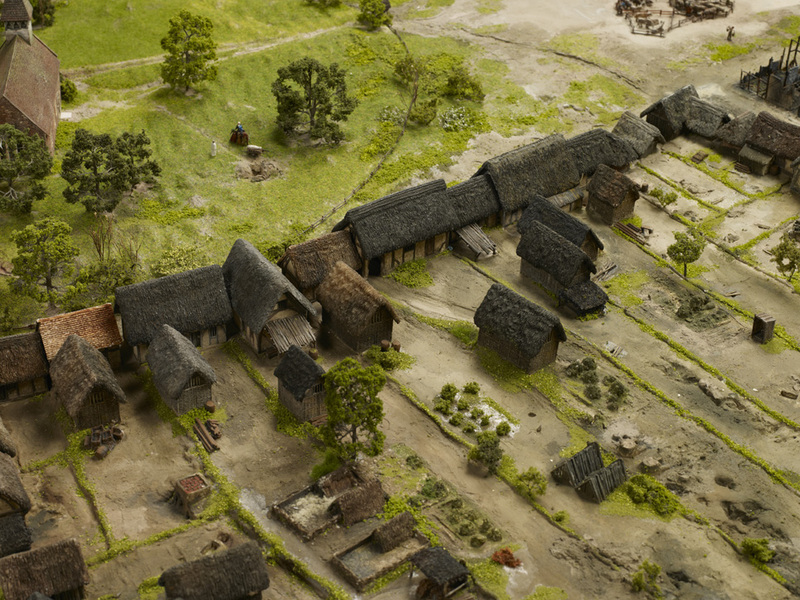 Similarly, pottery making, another important early trade was located on the periphery of the town (on the site of Selfridges car park today) because of the fire hazards associated with the craft. 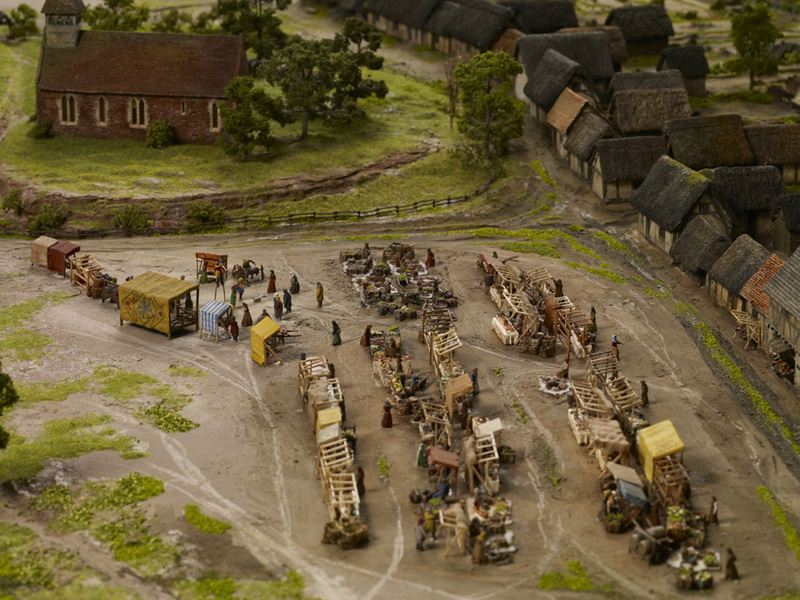 In this way, the model really helps to emphasise the rationale of early town planning. Tanning pits on Park Street, now the site of Selfridges. 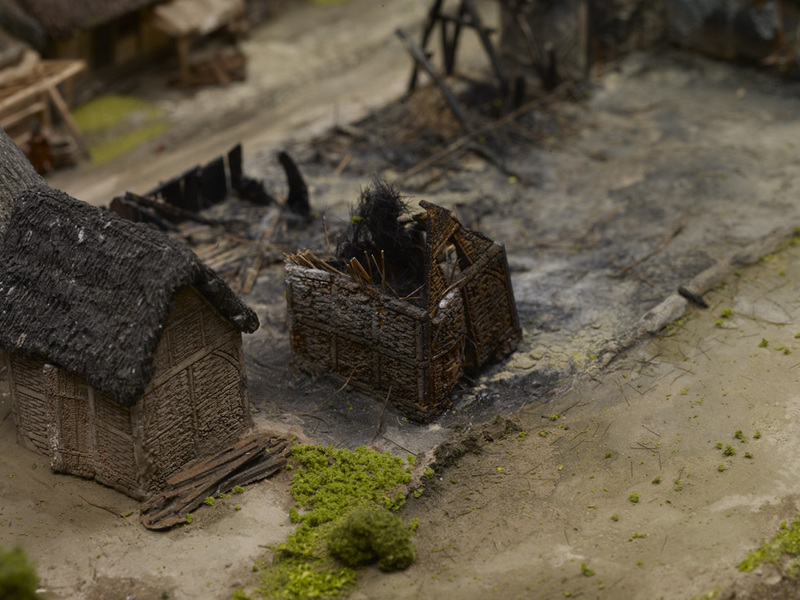 Fire was one of the perils of everyday life in any medieval town. 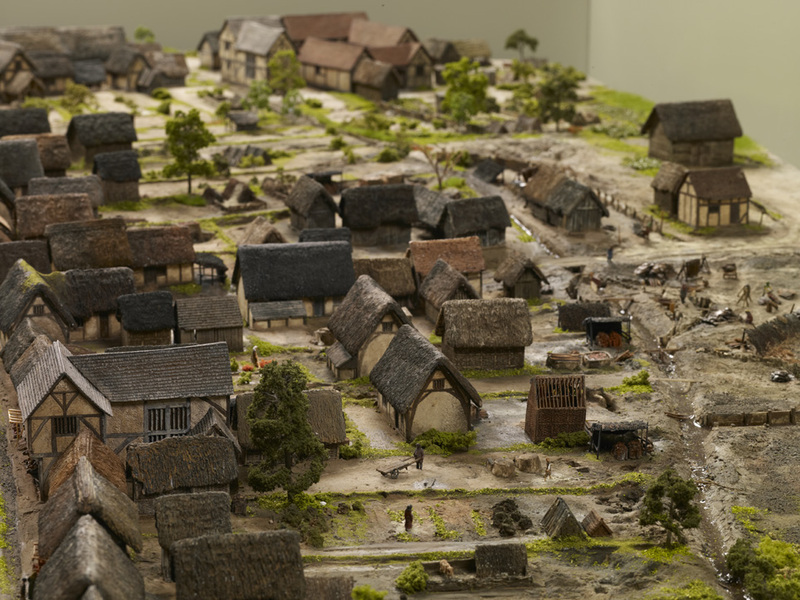 The beauty of our model is that it will help to dispel the myth that there was nothing here in the Middle Ages, when in fact we know that Birmingham was a bustling market centre and home to around 1,500 people. 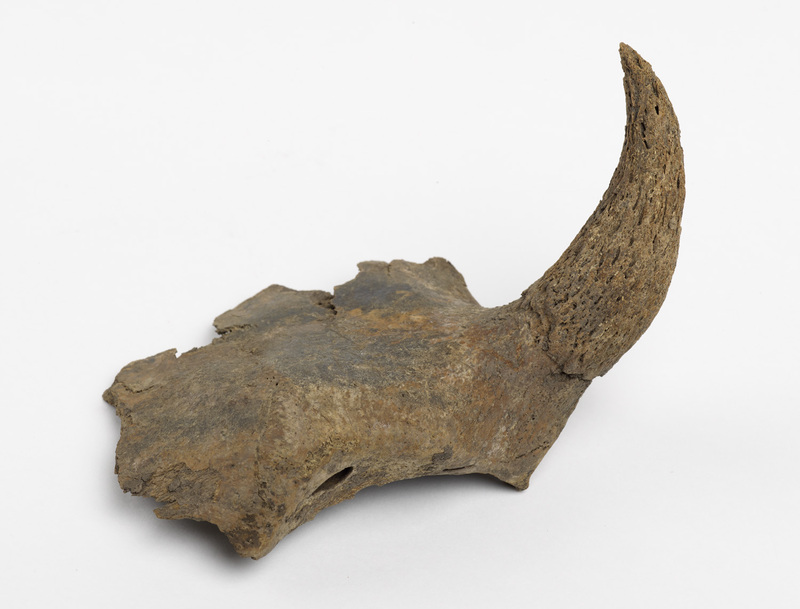 So, if you want to meet William de Birmingham, Richard le Couherde or Isabell le Sonster amongst many other medieval Brummies, visit the new Birmingham History Galleries this October and immerse yourself in the medieval history that made our modern city. 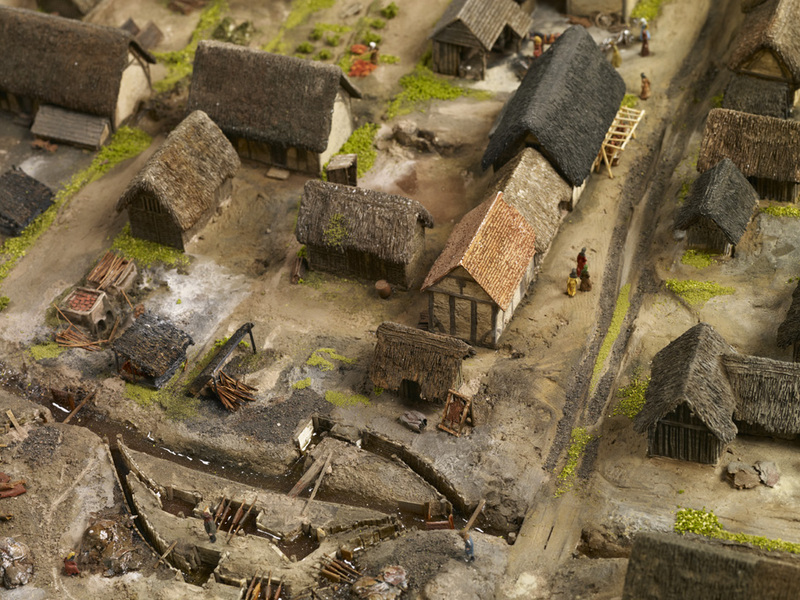 Whether keeping animals, growing food, dying cloth or making pottery, people’s back yards really were places of activity in medieval Brum. St Martin’s Church sat at the centre of the medieval market town. The biggest house in town, and home to William de Birmingham, Lord of the Manor. Look out for my next blog which focuses on the interactive features of the model. 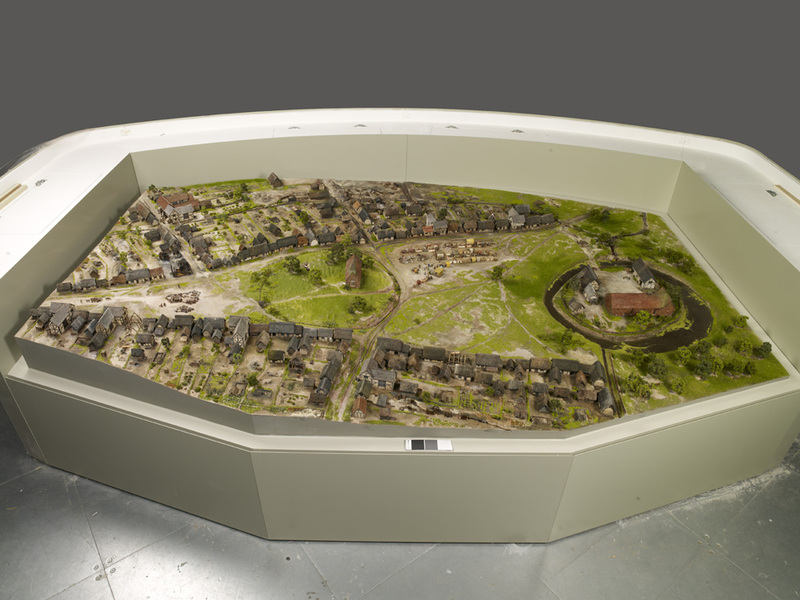 You can see the model on display this October in the new Birmingham History Galleries, Birmingham, its People, its History.